As we move close to that GDPR-Day of the 25th May 2018,I wanted to collate all of the related blogs, white papers and other media together so that they could be seen and read. The need to become compliant should have already started for most but for some it’s been put in the corner. It’s happening people. I have to share this link as well as I thought the URL was great. Veeam were very cautious about just releasing the next GDPR compliant message and marketing which generally speaking is completely false, there is not one backup vendor that can make any one company GDPR compliant. The process that Veeam has taken to release this information is basically on how Veeam itself has become GDPR compliant already and some of the features within the Veeam platform that assist you as a customer to becoming GDPR compliant state and then to retain that compliance. I wanted to put together a list of resources that consolidates all of those links into one place. obviously this list I expect to continue growing but the bulk of the content is listed below. Fast approaching a year ago the first GDPR communications from Veeam were released via Danny Allan this blog really touches on the high level why and what this GDPR is all about, it touches on that this is a necessary change and how the world of data is very different now to what it was pre smart phones and all of this other connected technology. It also starts to touch on the journey that Veeam had to take to reach that compliant state and then to sharing that story. At the beginning of the year @DannyAllan5 began the blog series on GDPR and this really comes from the battle scars that were gleaned from the findings from Veeam becoming or starting that compliance journey. This 5 part series that is linked below touches on some of the key principles required and things that you need to know prior to getting to that compliant stage but then also how do you maintain that, it’s not a finish line that you as a business need to get to. This is a new way of life and managing data into the future. These 5 lessons can also be found in more detail in a couple of white papers released in January of this year. Mark Wong who holds the position within Veeam as the General Counsel has written these white papers. The first one is for IT staff this one covers the 5 steps but in more detail to assist in what the process should look like to become compliant from that IT manager perspective within a business. 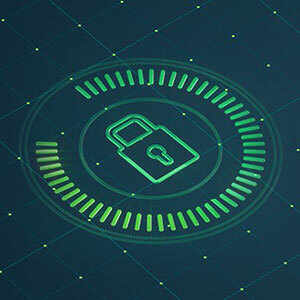 The second is aimed toward the CIO how Veeam plays a critical role within data management and protection strategies to ensure Veeam remain compliant while delivering Availability and how this information can help your business to achieve the same. A recorded webinar from February this year. Finally we have the Veeam landing page with further resources on how Veeam can assist in that journey to being GDPR compliant. Some two pagers, recorded VeeamLive sessions and a Data privacy impact survey. At the recent Cisco Live I spoke on the Cube of the Veeam GDPR messaging. Finally I have also been adding some of the technical features that will really help when it comes to this journey here.